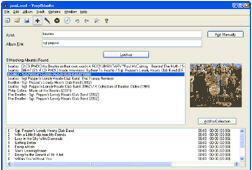 VinylStudio makes it easy to digitise and convert vinyl albums and cassette tapes to CD and MP3s. You can record your albums, remove clicks, hiss, hum and rumble, split recordings into tracks, burn CDs and copy tracks to your MP3 player - all in one convenient, easy to use package. It saves you all the hassle of dealing with individual files and handles the entire process: you can record your albums, look up track listings on the Internet, split recordings into tracks, fade tracks in and out, save tracks as MP3 files and burn both audio and MP3 CDs. VinylStudio also copies tracks to your MP3 player. It records to both MP3 format (which saves a lot of disk space) and WAV format, and can save tracks as MP3 files from either format. VinylStudio embeds ID3 tags in the MP3 files it produces so that the artist, album and track title are displayed when the track is played. 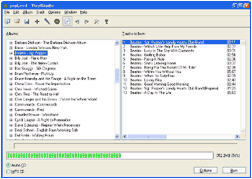 It also generates playlists for Windows Media Player, making it easy to play an entire album at a time and helping maintain the identity of the albums in your digitised collection. VinylStudio also integrates well with other audio editors, such as Audacity, CoolEdit or Adobe Audition. Dedicated user interface to easily record your LPs and cassettes to CD/MP3. Creates both audio and MP3 CD's. Automatically looks up track listings over the Internet. Automatically removes clicks, scratches, pops and tape hiss and more from your recordings. Splits your albums into tracks ready for your iPod, MP3 or CD player. Multi-level undo/redo lets you experiment without fear. Step-by-step instructions on how to hook up your turntable or tape player.